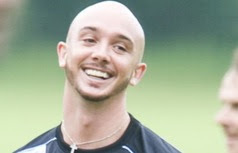 Has anyone ever seen Stephen Ireland (left - or right?) and Dave McClain (right - or left?) in the same room at the same time? Does Stephen Ireland play drums for Machine Head? Does Dave McClain play in midfield for Man City? I think we should be told.